Cheddar fries didn’t sound like something we would want with shawarma. That was before we learned this was Merkts cheddar, served with burning hot, crispy fries. As it turns out, it was the dryish chicken shawarma—beefed up with hummus, carrot salad and a burrito’s worth of other condiments and served in a pita or soft, doughy laffa flatbread—we didn’t necessarily need with our cheddar fries. Benjyehuda doesn't do much to stand out from the various Mediterranean restaurants (Naf Naf, I Dream of Falafel, Roti, etc.) that populate the Loop—it serves decent falafel and the requisite selection of spit-roasted meats, salads and baba ghanoush. 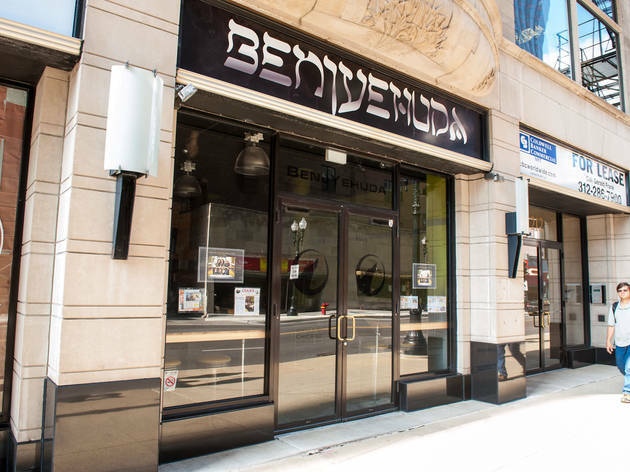 While it's not the cream of the crop, everything that Benjyehuda serves is solid (and people really seem to love their fries), so if you're looking for a slightly healthier lunch option, this local chain should fit the bill. 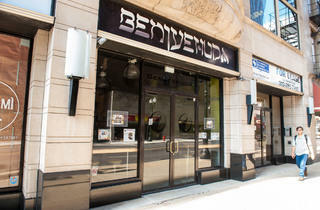 Benjyehuda is the most overrated falafel joint in the Loop. I said it. The lines are long, the salads are bland, the falafel has been dry every single time I've tried it, and there's just not enough going on here to get me to go back.